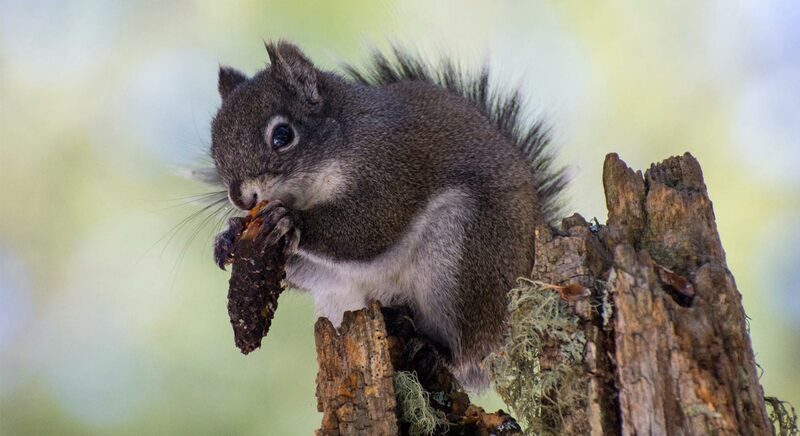 A wildfire last summer left even fewer numbers of the endangered red squirrel on Mount Graham. Global climate change, the increasing global population and recent changes in environmental policy are putting Arizona's natural resources in extreme jeopardy. That's according to Stuart Marsh, a professor and former director at the University of Arizona's School of Natural Resources and the Environment. "Our natural resources now are very interrelated, and that interconnection means there's a cascading effect on our environment," he said. "The key is letting people see the connections and not just in their small domain, but across the West and and across these resources. Marsh cites the 2017 wildfire on Mount Graham as an example of a climate-related event that threatened a large international telescope and impacted the population of the endangered Mount Graham red squirrel. He says he's encouraged by public interest in the natural world, such as citizen scientists who collect data to become more informed about plants, trees, and wildlife.